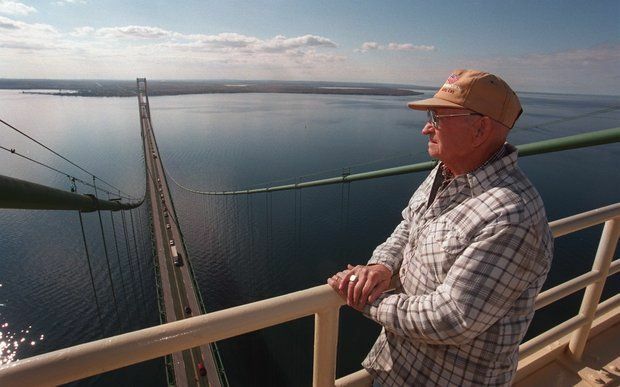 The Great Lakes Lighthouse Keepers Association offers rare chance to scale Mackinac Bridge. The Great Lakes Lighthouse Keepers Association is holding a raffle which will give the winner and a companion an almost unprecedented experience to view the Straits of Mackinac from atop the Mackinac Bridge. Proceeds from this event will benefit the GLLKA and its mission to restore and maintain historic lighthouses along the Great Lakes. The organization has adopted the St. Helena Island Light Station and the Cheboygan River Front Range Light. The tickets are $5 dollars each or five for $20, and the drawing will be held on July 31 at the GLLKA office, 707 N. Huron Ave., Mackinaw City. Ticket holders do not need to be present to win. Tickets are available in the GLLKA Gift Shop during regular hours or by calling 231-436-5580.